The Accredited Program is the premium package—except it's exactly the same price as Independent Study. You can choose to do either a full grade in K5–12 or a single subject in grades 9–12. Your child's education will be accredited by both MSA CESS and FACCS, which can help you meet state homeschool requirements and college admissions requirements. We keep all the permanent records for you—and we grade exams for you in 9th–12th grade. Your high school graduate gets a diploma and official transcripts, PLUS the chance to participate in a graduation ceremony. You can choose convenient digital assessments in 7th–12th grade. Due dates for coursework keep you on track. You get report cards and up to 3 transcripts free. If you want to do standardized testing, it's free. Abeka Academy Accredited program, having satisfied the accreditation standards of the Florida Association of Christian Colleges and Schools (FACCS) [1429 Bethel Church Road, Omega, GA 31775; Telephone: (850) 422-0065; e-mail: ops@faccs.org] has been awarded the status of Full Accreditation. In keeping with accreditation standards, our video teachers undergo certification through FACCS. Full Accreditation through FACCS provides additional national and state recognition with the following affiliations: The National Council of Private School Accreditation (NCPSA) is a consortium of accrediting associations for the recognition of early childhood, elementary, and secondary private schools and serves as a national review panel for the standards and review procedures of private school accrediting associations. Florida Association of Academic Nonpublic Schools (FAANS) membership represents all of the major nonpublic school faith-based and non-sectarian Associations in Florida and thus encompasses the majority of the nonpublic schools within Florida. Affiliation with FAANS functions as a vital link between nonpublic schools and the Florida Legislature and the Florida Department of Education. Abeka Academy is accredited by the Middle States Association of Colleges and Schools Commissions on Elementary and Secondary Schools (MSA CESS) [3624 Market Street, Philadelphia, PA 19104; Telephone: (267) 284-5000; e-mail: info@cess-msa.org]. 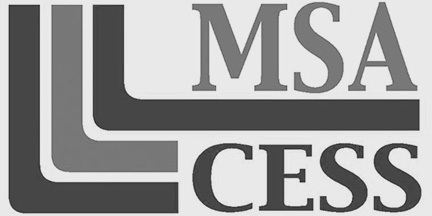 MSA CESS accredits early-childhood through post-secondary institutions throughout the United States and member institutions in more than 85 countries around the world. 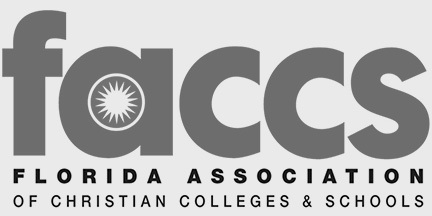 The Middle States Association of Colleges and Schools Commissions on Elementary and Secondary Schools is recognized by national and international communities as the leader in both improving the quality of education through the accreditation process and affirming to the public the trustworthiness of its accredited members for the twenty-first century.